By now you’ve heard the news: Facebook is changing the News Feed algorithm to de-emphasize posts from publishers and brand pages and instead is focusing on “meaningful interactions” between friends and families. While news organizations will undoubtedly see their pages’ organic reach drop, Facebook’s move provides an opportunity for publishers to step back from blindly pursuing scale and massive audiences and instead develop genuine connections with their communities both on and off Facebook. Facebook Groups are one of many mechanisms publishers should be thinking about using to build those relationships that can evolve into greater brand affinity and potentially subscriptions or memberships. So, for the next two weeks, Solution Set will examine how two different publishers are using Facebook Groups to do just that. This week we’re looking at Vox’s approach to Facebook Groups. The explainer site runs two groups, each with a unique community and strategy. 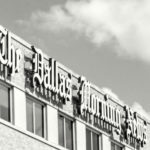 (Next week we’ll examine what The Dallas Morning News learned when it created a Facebook Group for its subscribers.) If you run your own Facebook Group or are thinking of starting one, there’s a lot to learn from Vox, no matter the size of your outlet. • The Challenge: As Facebook Groups have exploded in popularity — and been emphasized by Facebook’s algorithm — news outlets, such as Vox, have had to try and figure out the best way to utilize the platform. • The Strategy: Vox decided to create two Facebook groups, a private group for Obamacare enrollees and a fan group for its Weeds podcast. .• The Lessons: You have to be present to cultivate a successful community and build trust with the members. • Want to know more? : Learn more about the coming changes to Facebook and check out other ways news orgs are building community. Vox was one of the many news organizations that wanted to experiment on the platform, but it wanted to make sure it set the right goals and measures of success for how it approached Facebook Groups. For instance, the site considered creating a group around a feature healthcare reporter Sarah Kliff was writing about chronic pain. But that was just going to be one story, and Vox realized that it would make more sense to focus on a longer-term project, such as its coverage of the Affordable Care Act. “We didn’t want to put the time and energy into it when we knew we weren’t going to have the content to sustain that group for such a long time,” Lauren Katz, Vox’s senior engagement manager, told me. “So we switched to healthcare. It was super timely and continues to be timely. Sarah Kliff, who is the reporter who we launched everything with, was game for it, and we knew that it was going to be a topic that she was covering for a long time,” she continued. Vox decided to create What’s Next, its Obamacare Facebook Group, because healthcare and the fight over the fate of Obamacare has been a major focus for Vox, and unlike its one-off story on chronic pain, it knew that the Affordable Care Act would be a story that wasn’t going to go away. Katz also said there was already an active healthcare community on Facebook that it could tap into — even though there weren’t many specific ACA groups. She emphasized though, that Facebook might not be the best for every newsroom. It worked for Vox because the audience was already there and it doesn’t have comments on its own site. “If you already have a great community conversation platform on your site, cool maybe do it there, if the community you’re targeting isn’t really online, maybe do a series of community events in real life with real people,” she said. “It definitely doesn’t look the same for every project. This works for us. What’s Next launched in December 2016, and Vox followed that up by debuting the Weeds group in April 2017.
.@voxdotcom just launched a community for Obamacare enrollees. While the Obamacare group was focused on facilitating intimate and in-depth conversations around individuals’ experiences with the Affordable Care Act, the Weeds group is structured more as a way to follow the podcast, connect with fellow fans, and follow the news. 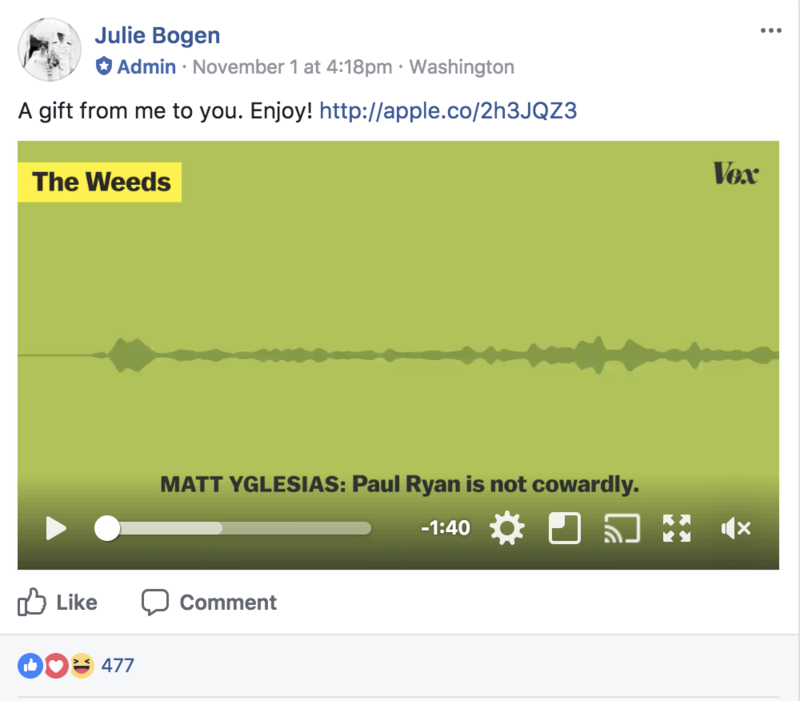 For the Weeds, Vox saw the Facebook Group as an opportunity to efficiently interact with a larger number of podcast listeners, Vox social media manager Julie Bogen, who oversees the Weeds page, told me. What’s Next has more than 3,100 members. Only Affordable Care Act enrollees can join the group. When you apply to join, you have to fill out a form asking you if you’re enrolled in Obamacare. Katz vets all the requests. She, obviously, can’t tell if people are lying, but she takes them at their word. Often times people who are just interested in Obamacare will apply, in those cases she’ll reject them but also send them to other resources. “I message them and say, ‘Hey, I’m sorry I can’t let you into this group, but you can sign up for our healthcare policy newsletter, or you might be interested in the Weeds,’” Katz said. Vox is so strict about the membership because it wants to create a valuable resource for Obamacare enrollees. It’s also using it as a way to potentially find sources for stories as it continues to cover Obamacare. Last January, for instance, Vox took a poll of its members to learn more about who they are and why they joined the group. It was able to turn those results into a story on its website. It was also able to invite 30 members of the group to an interview Kliff and Ezra Klein conducted with President Barack Obama weeks before he left office. “My goal for the Obamacare group is not the size. It’s making sure that it’s a valuable space for people. So, I will do what I need to do to make that happen,” Katz said. Still, Vox has tried to spread the word about the group. It has used its social accounts to promote the group to a wider audience, and it also posts a sign-up link at the bottom of many of its stories about Obamacare. The Weeds Facebook Group has nearly 14,000 members. It’s a private group, and you have to request to join. Bogen said she approves about 80 percent of the requests to join. Most of the rejects are trolls, bots, or people who think that the group is for a different type of weed. “If you’re requesting to be in this group and your employment says the Krusty Krab or if you live in Colorado those are signals to me that the person is either a bot or trying to sell weed,” Bogen said. Weeds moderators also have to approve all the new posts in the group. Once a post is approved, users can comment freely. Bogen said she approves about 70 percent of the posts made in the group. While there is some spam or trolling, most of the posts she rejects are duplicate posts or things that have already been discussed. “I’ll reach out to people and say, ‘Hey this has already been addressed one way or another. Here’s a link for you to participate in this conversation,’” she said. • Ask yourself hard questions: Facebook Groups may be a trendy way to reach audiences right now, but they’re not right for every newsroom. So before you jump in, you should figure out whether it really makes sense for you and your team. That also means defining the purpose of the group: Who will be able to join? Who on your staff will moderate it? What are the community guidelines? The questions can go on and on. In Vox’s case, The Weeds and What’s Next each have distinct purposes, and the focus of their groups was established from the beginning. Newsrooms also need to figure out whether the use of Facebook Groups fit in with their overall editorial and business strategies. • Be there: As the groups have gotten more popular, members have been able to generate discussions on their own without much input from Vox staff. But Katz and Bogen both said that they view their groups as valuable ways to connect Vox’s readers directly with its staffers. “It was really important to make sure the reporters involved were on board too. Having moderation is really important, but having interaction with Vox reporters was really important to us,” Katz said. Being responsive to reader requests and comments — within reason, of course — can also deepen user loyalty. Recently, a member of the Weeds group started a discussion about favorite Matt Yglesias rants from the Weeds podcast and asked a Vox producer to compile a greatest hits playlist. Later that day, Bogen posted a clip of the co-host going on about various topics. Vox has also used The Weeds group to solicit stories for its site. This week, in response to all the news about Aziz Ansari, a Vox editor posted in the group asking if any of the members might be interested in writing a first-person essay about how the story has changed their views about consent. • Plan it out — at least for the beginning: When it started each of its groups, Vox created a content schedule with a plan for what to post in the group for its first few weeks. Both groups eventually became self-sustaining with members sharing and posting regularly, but in the early days it can potentially take some time to build up an audience and a rhythm to the group. So moderators should plan on being active posters early on as the group gets going. Even now that both groups are up and running, Vox moderators will still share coverage in the group and also schedule set events, such as Q&As with experts or Vox journalists. Earlier this month, for example, The Weeds held a Q&A in the group with Vox reporter Alvin Chang and Tomas Monarrez, a UC Berkeley economics PhD candidate, to discuss a major story Vox published on segregated school districts. The pair spent an hour in the group, responding to questions and facilitating discussions between members. • It’s a balance: Between approving posts, admitting new members, and monitoring conversations, running the groups can be time-consuming for Katz and Bogen. Both told me that they fit time in around the rest of their tasks. Katz will set aside time in the morning and the afternoon to look at the group while Bogen said she’ll try and approve requests if she has small blocks of times between meetings or on her commute home. Still, it can be a challenge for Bogen to figure out how to mitigate her moderating duties with everything else — including her personal life. She’s turned off most of the Facebook notifications on her phone — only looking at personal messages because sometimes people flag concerns for her there, but people are still requesting to post at all hours of the day. As a result, Bogen said she’s planning to put together a guide for members about when they can best reach her, the types of posts that are typically approved, and other details. Now that Vox has launched two Facebook Groups, it’s thinking about whether it makes sense to launch more. The site recently launched a yearlong project that’s aiming to crowdsource medical bills, and Katz said that’s a project that might be suitable for a Facebook Group as there are lots of interested parties — from people who submit their medical bills to grad students who are interested in helping to crunch the data. But even as it starts to identify topics, it keeps coming back to the central question: Do we have enough bandwidth to do this? • Simon Galperin wrote a prescient post in early January offering five suggestions for how to adapt to the forthcoming News Feed changes. 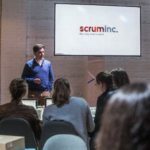 His suggestions, including an emphasis on groups, all highlight the importance of community and connecting with your audience. • The Coral Project’s Community Guides for Journalism offer strategies for how to build successful communities that align with your mission and goals. They’re a must read if you’re thinking about ways to foster community around your journalism. • In light of the Facebook news, WGBH’s director of social media Tory Starr wrote a post about how newsrooms can reframe their social media strategies. • Scott Kleinberg, the Chicago Tribune’s former social media manager, wrote that Facebook overhauling News Feed is actually good for social media managers. • A 2016 American Press Institute report shared tips for how to build audience and relevance by listening to and engaging your community. Additional community engagement ideas can be found on Better News, a resource from the American Press Institute that’s part of the Knight-Lenfest Newsroom Initiative.